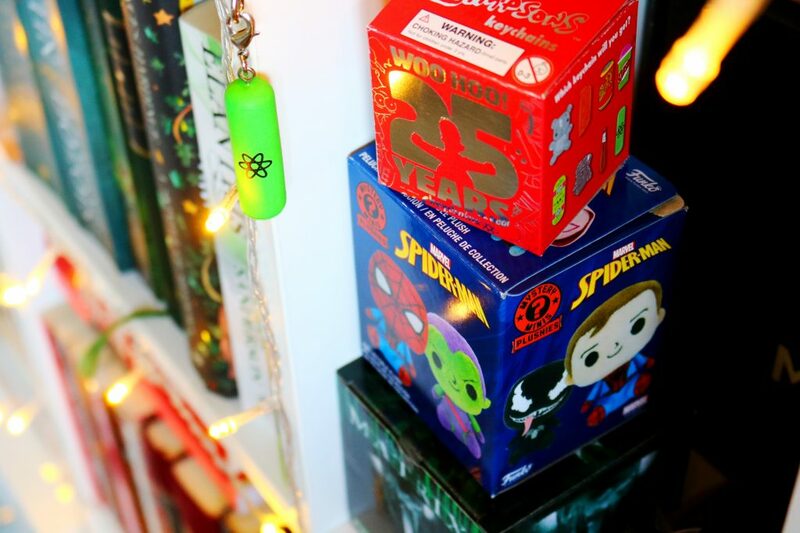 The first subscription box review of the new year is from one of my favourite boxes, My Geek Box. I’ve loved their boxes for a while and this one is no different! 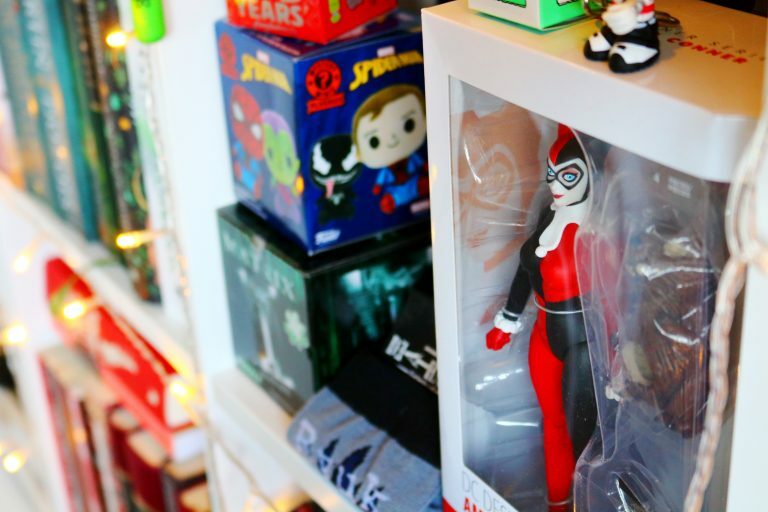 My Geek Box is a UK based geeky themed subscription box that includes various video game, film and TV franchises so you’re bound to find an item you’ll love in the box. 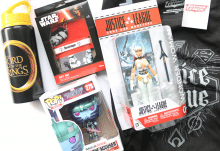 There are so many items within the January 2019 box from a range of genres including The Simpsons, Spiderman, Matrix, Death Note and more. It also include not one, not two but three mystery boxes which I love! 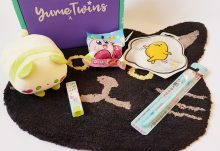 I’m very impressed with the January box, not only because of the range of items but simply how many there are in this months box. Let’s start with my favourite item from the box and that’s The Simpsons mystery box which includes a cute keyring. 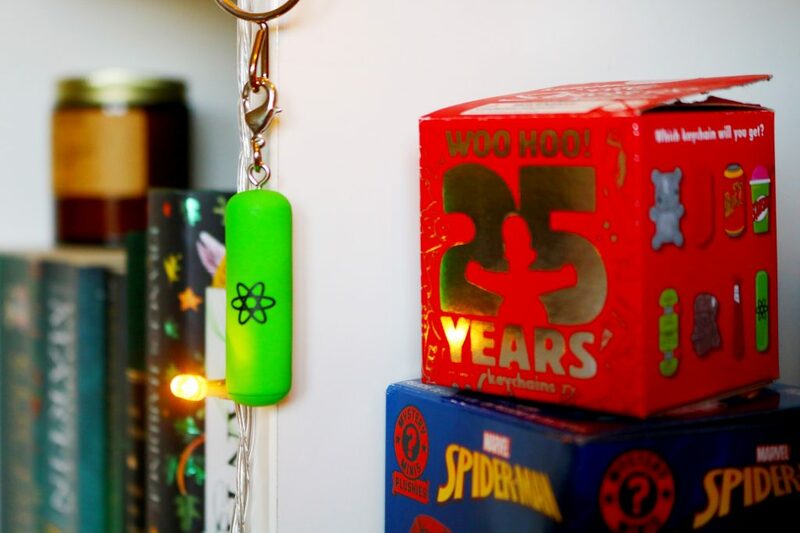 There are various items you could have received but I got the radioactive stick from the nuclear plant in mine which I’m very happy with. The Simpsons is probably my favourite animated TV show of all time as it’s so nostalgic. I’d be very happy if there were more Simpsons (and Harry Potter) items in future boxes! Usually there’s one mystery box in a geeky subscription box but I was happily surprised to find three! Mystery boxes just remind me of the 90’s as mystery goodie bags and mystery boxes of collectable toys were so popular. 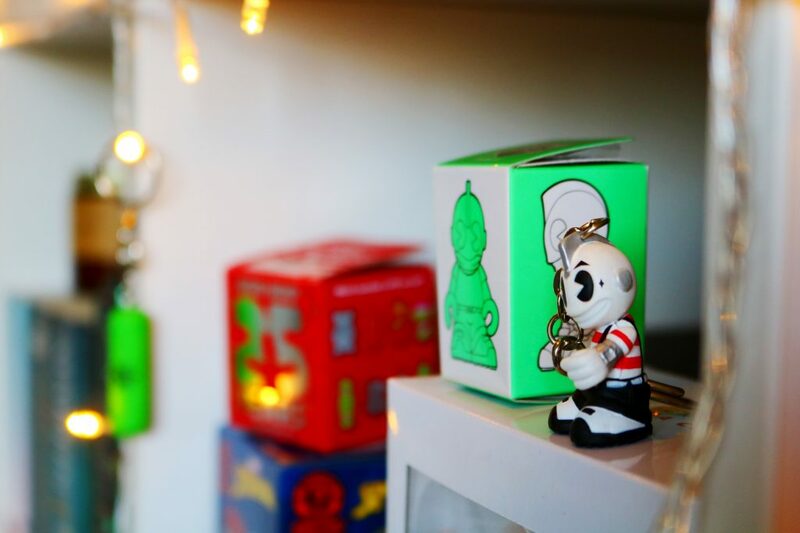 The second mystery box is a character that I’m not familiar with at all, Bothead from Kidrobot. I have the mime design which I do like; however this isn’t a character or style that I’m really into collecting sadly. The final mystery box was the Marvel Spiderman box. It doesn’t contain a keyring or vinyl figurine but a cute plushie! I received the Venom character which reminds me that I still need to watch the Venon film! I love that the collectable within this mystery box is a plushie as it’s a little different and so cute….well as cute as Venom can be. There are quite a few cult classic movies that I haven’t watched and one of them is The Matrix. It’s a sci-fi film from the 90’s so I should have watched it but for some reason I haven’t yet. In the January box there’s a 300 piece Matrix puzzle but I think I’ll watch the film before attempting it! There are two wearables in this box…it’s a very full box this month! 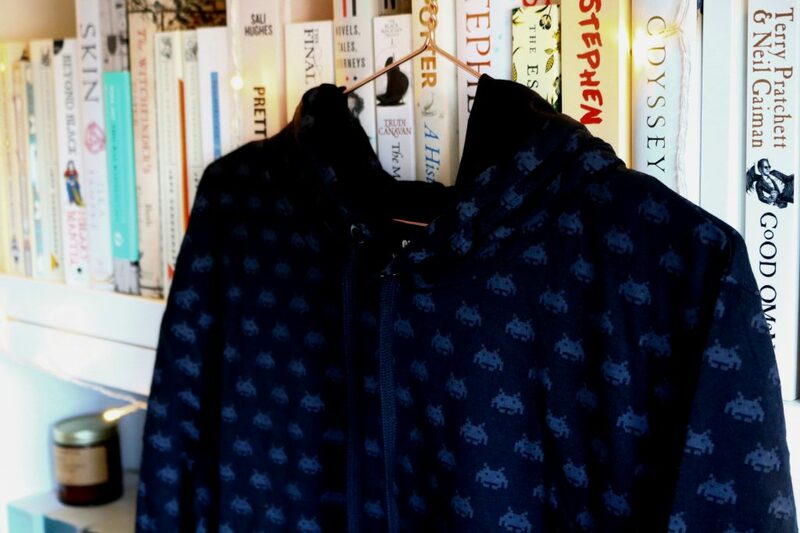 The hoodie has a Space Invaders print all over it with some of the little aliens in a bright green colour while the others are all grey. I have the medium size but it’s huge on me! I’m a UK 8 and this hoodie is rather massive so I think I’ll pass it onto a neighbour of mine as I think they will get much more use out of it than I will but I do like the design! The next item is the second wearable and it’s from a TV show/Anime that I’ve only just started watching in the past month or so, Death Note. Death Note started as a Japanese manga series but it’s now a series and movie on Netflix. I don’t think I’ll be watching the Netflix movie but I’m liking the animated series. I would wear these socks if they weren’t extra long…that again reminds me of the 90’s and I think it should stay in the 90’s, if I’m honest. 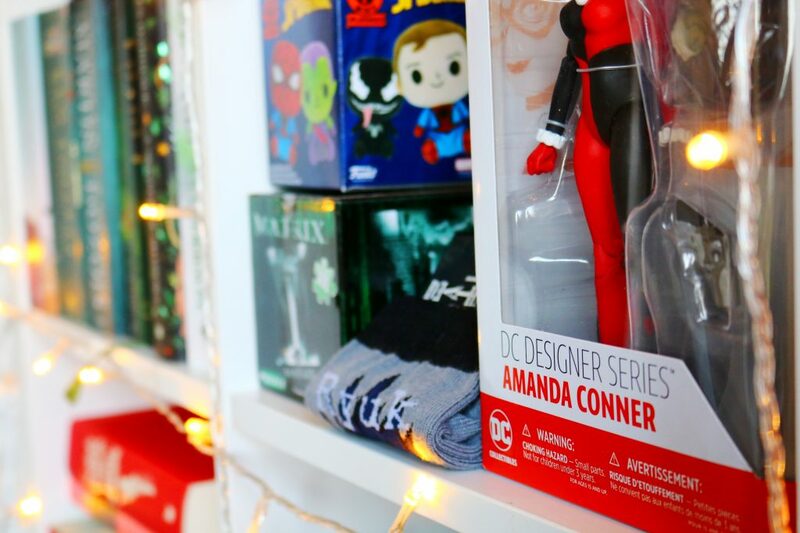 Last but not least is an Amanda Conner designed Harley Quinn figurine from the traditional/original series. I have the ‘traditional Harley Quinn’ figurine design but there are three others in this series. I used to watch the Batman Animated series in the late 90’s so these characters are familiar and nostalgic but Catwoman was a more memorable character compared to Harley Quinn for me. 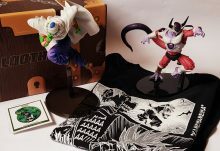 However, I do like this figurine, we’ve received another figurine from this range in a subscription box previously. Overall, a fantastic and very full box of goodies this month! Overall, I'm very happy with most of the items in this month box, especially The Simpsons and Spiderman mystery boxes as well as the Harley Quinn figurine. I'm very pleasantly surprised by just how many items are in the January box! How would you rate My Geek Box ? Rating: 2.8/5. From 23 votes.